Singapore (Dec. 19, 2014) – RCI, the global leader in vacation exchange, recently announced the signing of a Memorandum of Understanding (MOU) with China Daily that formalizes a commitment to jointly promote awareness and recognition of shared ownership to China’s local government, commercial developers and general public. 1. Local government engagement – Initiate communication with key local government agencies via face-to-face meetings, industry seminars and other channels to establish a solid understanding of the shared ownership industry and grow their support. 2. Industry promotion – Jointly organize industry workshops with local government agencies to familiarize local developers with shared ownership practices that have been successfully implemented in the global market. 3. Public education – Leverage news reports and article placements on Chinadaily.com to increase awareness of the shared ownership industry and its products, as well as RCI and its business partners. 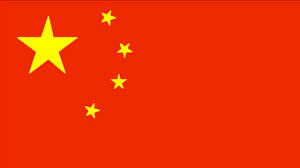 China is now the world’s number one source market for international tourism and the largest domestic travel market. The total number of domestic travelers in 2013 was 3.26 billion people, with domestic spending totaling US$428 billion.With increased affluence, a trend toward longer holidays and fewer visa restrictions in the country, there is great potential for China’s shared ownership market to grow and benefit both consumers and developers. Today, RCI is taking the lead to capture the opportunities and grow the shared ownership industry in China. The company will continue to work alongside Chinese government bodies as well as partners in the Chinese tourism and real estate industries to facilitate the industry’s healthy growth and sustainable development.